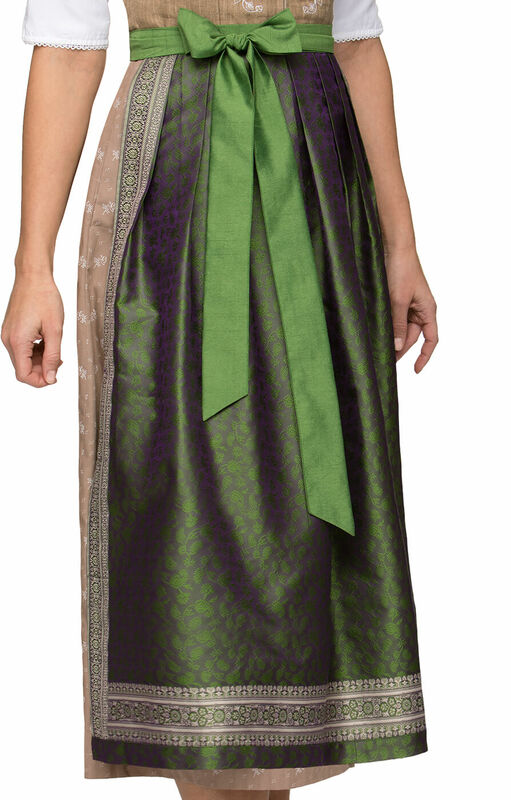 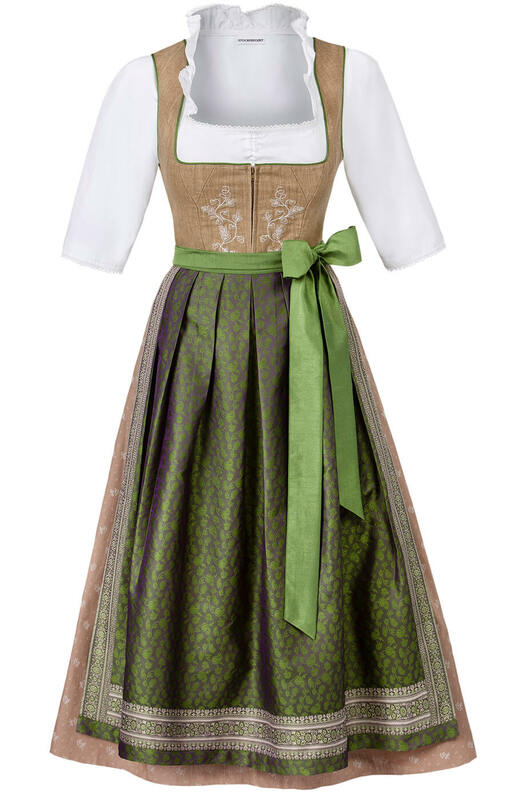 Molina green-and-beige Dirndl dress. 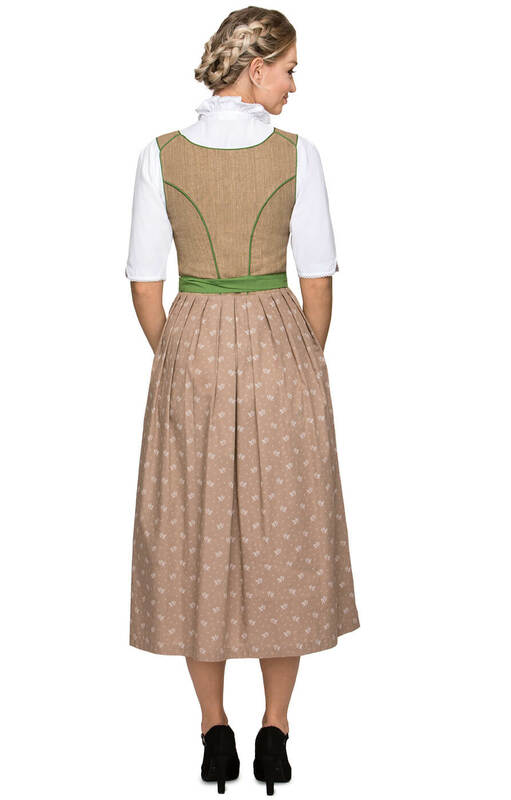 The full skirt of this beige Trachten Dirndl measures 80cms in length to create a classic Oktoberfest look that you will be proud of. 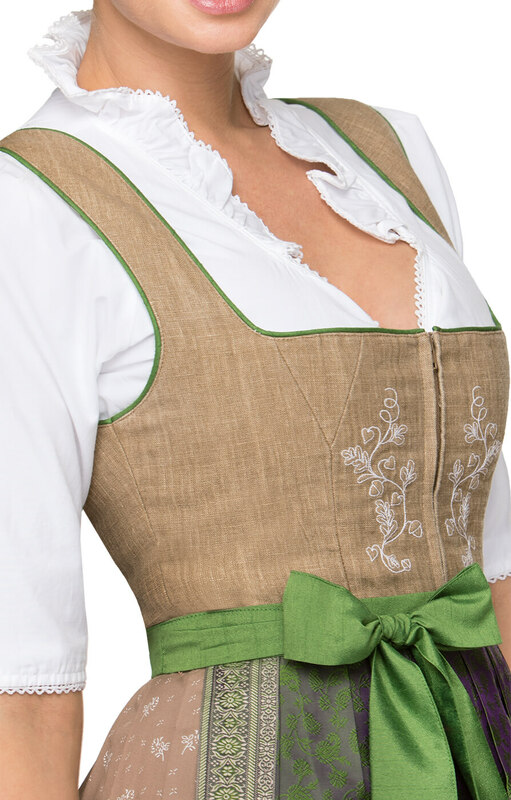 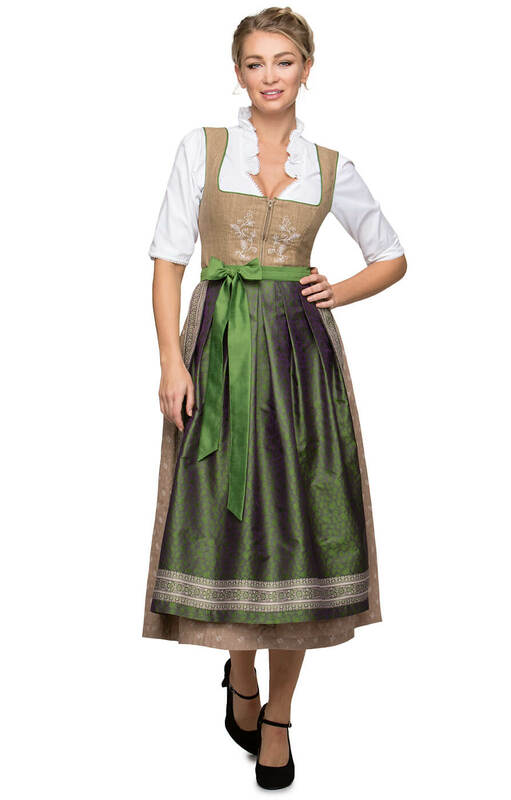 The square-cut bodice features a zipper on the front and classic white embroidery, while the green edging matches the ribbon tie on the dark-green Dirndl apron.